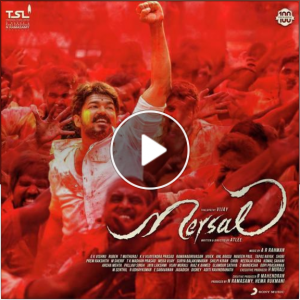 Mersal (Music review), Tamil – A R Rahman by Milliblog! Maacho, with its dramatically diverse soundscape, is Rahman throwing everything including the kitchen sink at it! 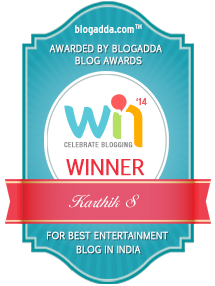 Awkwardly enough, with adequate gibberish, it sounds like a Harris Jayaraj song – a meta-milestone! Mersal arasan and Aalaporaan Thamizhan are even more disconcertingly disparate, with enough bits of alluring sounds that just don’t seem to cohesively come together. Neethane starts well enough, with a semblance of a likeable flow, but then Rahman—laughably—goes ‘yaache yaache’ and then induces his trademark faux-sufi sound in the second interlude before asking Shreya to—again, laughably—go ‘yaalle yaalle’! Mersal is Rahman’s weakest in ages; for Vijay, it’s Puli-level tedium.